Google just added a new feature to its Google Home smart speaker, which totally changes the conversation. For both Amazon Alexa and Google Home it has been difficult to have an ongoing conversation, since each query has to start with “Hey Alexa” or Hey Google” to activate the digital assistants each time. Google has totally changed that with a feature called “continued conversation,” announced in May but now finally rolling out. For example, a person can ask “What is the weather for Boston tomorrow?” and after the answer comes, simply say “And what about New York?” Or ask Google to add something to a shopping list, and then add something else, and set a reminder, or ask a totally unrelated question, all without having to say “Hey Google” more than the first time. The feature dramatically changes interactions with the device, since the conversation can become continuous rather than being truncated. Google already added a feature a while back so that two queries can be linked together, such as “Hey Google, what time is it and what is the weather?” The Assistant recognizes separate questions by the “and” between them. Amazon’s Alexa currently answers only one question at a time but can be expected to follow Google. Once the continued conversation feature is activated in the Google Home app, the Assistant keeps listening for a few seconds after it supplies an answer to a previous query. That can be turned off by saying “stop” or “thank you.” The smart speaker stops listening after several seconds. The feature also can be toggled off in the app. Google states in the app that any audio that Google Assistant doesn’t respond to will be deleted from the Google account. 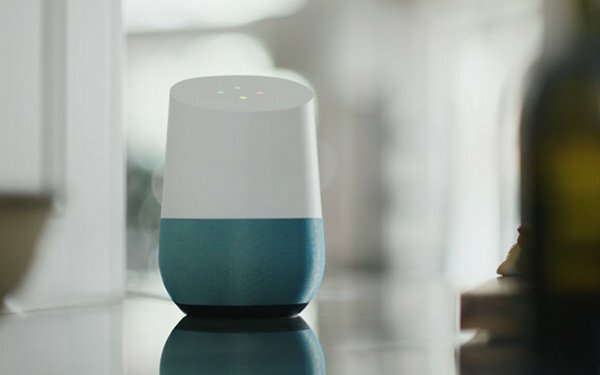 2 comments about "New Google Home Feature Allows Continuous Conversations". R MARK REASBECK from www.USAonly.US , July 2, 2018 at 6:23 p.m.
wonder if has a "husband Mode', where it just doensn't hear you??? Chuck Martin from Chuck Martin replied, July 2, 2018 at 7:38 p.m.
That would be the "off" switch, Mark.